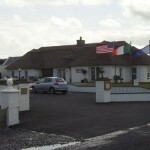 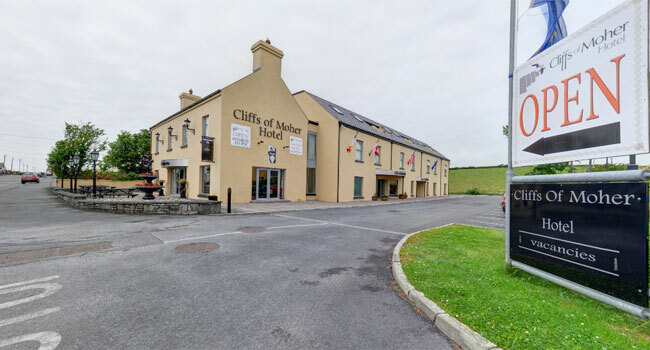 The Cliffs of Moher Hotel is situated in the tranquil and picturesque fishing village of Liscannor, 4kms from both the world famous Cliffs of Moher and Lahinch Golf Course. 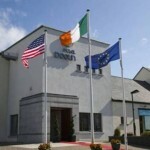 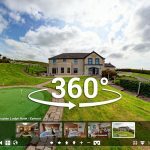 23 luxurious ensuite bedrooms combined with the splendid Puffin Restaurant and Submarine Bar to provide a wonderful and relaxed atmosphere at this hotel accommodation in Co Clare. 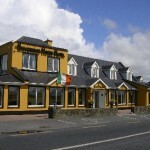 Visiting the bar and restaurant you will experience exceptional service, quality food and drink from the Burren and the West Coast of Clare. 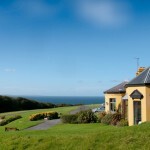 The village is also only a short drive from the Burren in County Clare and is a few minutes’ drive from Ennistymon, Lahinch and Doolin.